Enumclaw, Enumclaw, glorious Enumclaw. The town on the plateau that feels like a valley. 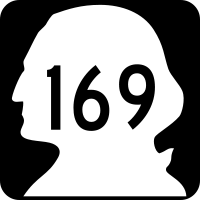 SR 169 begins here at an intersection with SR 164. Have a walk around town, buy some bread from the bakery. We depart Enumclaw, due north through the farmland. We pass a cluster of mansions with great views of Mt. Rainier, then dive down to the Green River Gorge. Across a very high bridge and up the hill on the other side, then we're quickly at ever-growing Black Diamond. 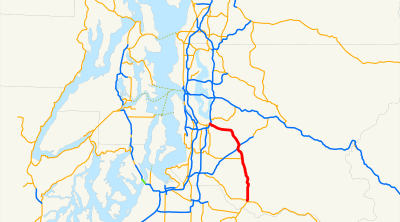 Enumclaw Black Diamond Road turns into Maple Valley Black Diamond Road and soon we're here at the city of Maple Valley. 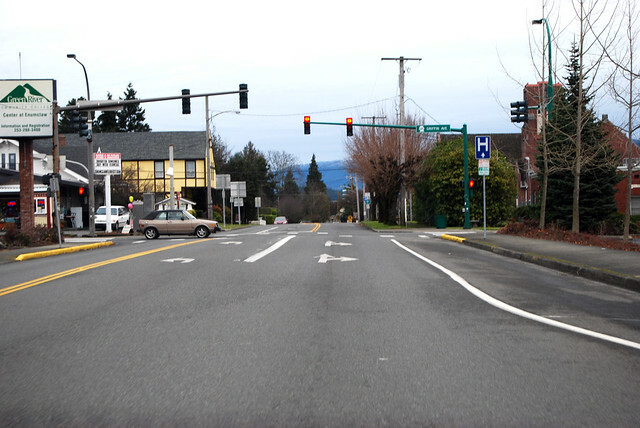 This is Four Corners and a junction with SR 516. 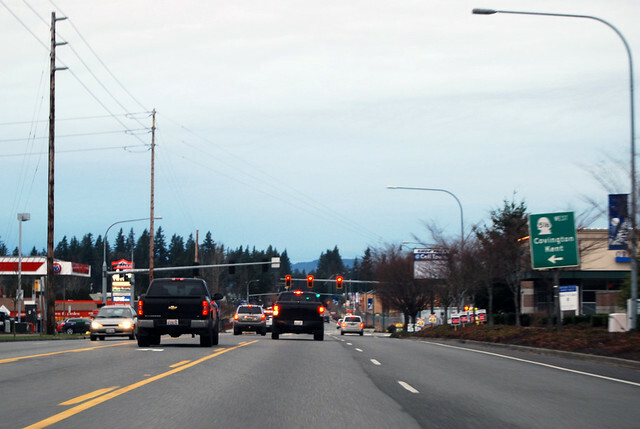 We then drive through the city of Maple Valley, then down the hill into Maple Valley. ("What?" 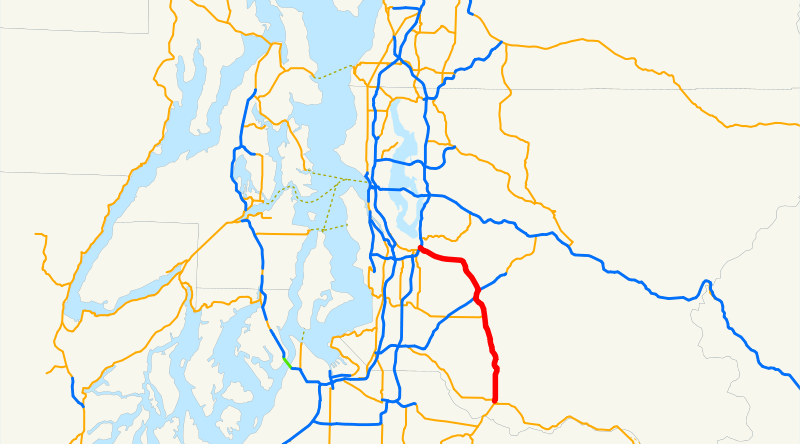 you ask, and I point to the drafters of King County's urban growth boundary.) We cross under SR 18 without a junction and head down the Cedar River on Renton Maple Valley Road. 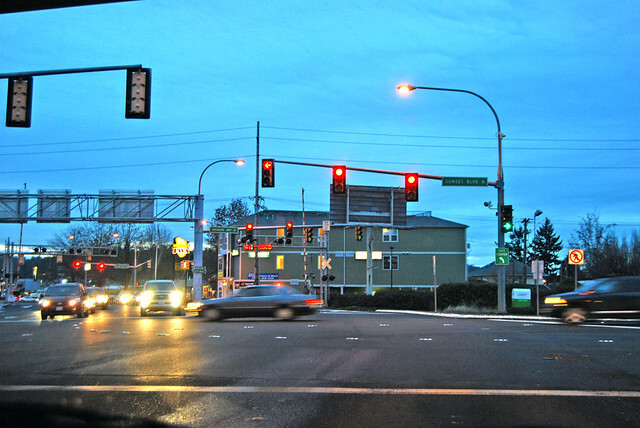 A mere half hour before sunset, we arrive in Renton at I-405. 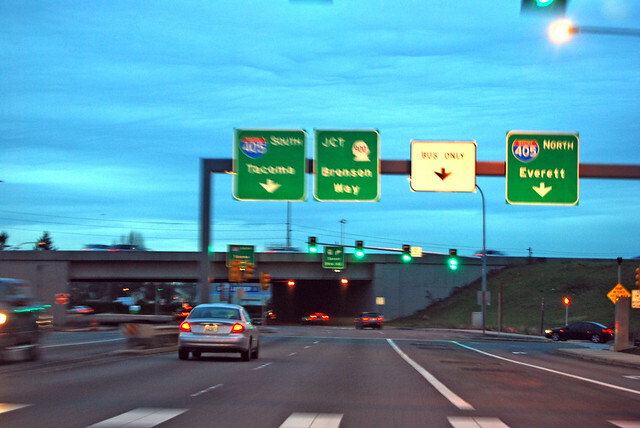 Underneath the interstate, we quickly approach the end of SR 169, this junction with SR 900. Welcome to Renton! For all the times I've driven on this highway since my youth, there were still several sections that were unfamiliar. From the exurbs to the suburbs, hurrah!